What does ‘section 20’ mean? And when should it be used? the person who has been caring for the child can’t provide him with a suitable home, whatever the reason for this and regardless of whether this is short term or long term problem. It is a very important section with regard to care proceedings, because it often happens that a local authority (LA) will ask parents to sign a ‘section 20 agreement’. This means the parents are agreeing to let their children live somewhere else, usually in LA foster care, while the LA carries out more investigations or the parents get some time to sort themselves out (‘respite care’). The child is therefore out of the parents’ care without the need for the LA to go to court and get the Judge to make a care order. Because the court is not involved to oversee this, it’s very important that section 20 agreements are used properly and don’t become a way of letting the case drift on without proper consideration or getting a care order ‘by the back door’. On 24th February 2016 the Transparency Project published Guidance for parents and professionals about the use of section 20, which you can download here. There has been some controversy about ‘foster to adopt’ placements where section 20 is used to put a child in such a placement before the matter gets to court. You can read more about this, and the report of the Family Rights Group here. iThese cases illustrate a number of problems with the use of section 20: separation of a baby from the mother at or shortly after birth without police protection or a court order, where she has not delegated the exercise of her parental responsibility to the local authority or been given in circumstances where it is questionable whether the delegation was truly voluntary; retention of a child in local authority accommodation after one or both parents have indicated a desire to care for the child or even formally asked for his return; and a lack of action where the perception is that the parents do not object to the accommodation, even though this means that no constructive planning for the child’s future takes place. They also illustrate the dilemma posed to the local authority: something has to be done to look after the child but there are serious doubts about whether the parent can validly delegate the exercise of her responsibility. Equally, they illustrate the dangers if the local authority proceed without such delegation or obtain it in circumstances where the parents feel that they have little choice. There are none of the safeguards and protections for both the child and the parents which attend the compulsory procedures under the Act. Yet, rushing unnecessarily into compulsory procedures when there is still scope for a partnership approach may escalate matters in a way which makes reuniting the family more rather than less difficult. Section 20 accommodation is very different to your child being removed from your care against your will under a care order. The LA do NOT share parental responsibility for your child just because you have agreed that your child should be in foster care under a section 20 agreement. Under section 20(8) any person who has parental responsibility can remove the child from LA accommodation at any time unless there are objections to this by someone who has a child arrangements order to say the child lives with him/her (what used to be called a ‘residence order’), a special guardianship order or has care of the child by a special order of the High Court. Section 20(4) says that the LA may provide accommodation for any child in their area, even if the child has a parent who is able to provide accommodation, if the LA thinks that they need to do this to keep the child safe. Section 20(7) provides that the LA cannot provide accommodation for a child if there is someone who has parental responsibility for the child and objects to the LA providing the accommodation. So if the parents won’t agree to section 20 accommodation, their child can only be removed by court order or by the intervention of the police using their special powers. Problems have arisen when parents feel they have been ‘rushed’ or even bullied into making a decision to agree to let their children be accommodated under section 20. Sometimes, LAs get consent from only one parent but the other objects. A LA should always try to get the consent of everyone who has parental responsibility. A very important case when considering how section 20 should work is the case of Coventry City Council v C, B, CA and CH . This should be read together with the case of Williams and Another v London Borough of Hackney . See also the case of Medway Council v M and T  which appears to be the highest amount of compensation paid for unlawful use of section 20 – £20K to both mother AND child. In the Coventry case, Mr Justice Hedley gave guidance about what should happen if a LA want to remove a baby immediately or soon after birth – it can be appropriate to use section 20 in these circumstances but obviously it is vital to make sure the parents understand what is being proposed and give real consent. The Hackney case, involved parents of 9 children who were taken into foster care in 2007 after the police intervened saying the home conditions were not suitable for the children to live in. The children spent about 2 months in foster care. The parents took legal action against the local authority, saying it had acted unlawfully by taking the children into care under section 20 of the Children Act as they had not understood what was going on. The court found that they had not been informed of their right to object to the children’s continued accommodation under section 20(7) or of their right to remove the children at any time under section 20(8) and that their consent was not informed or fairly obtained (para 65). Therefore Hackeny was found in breach of its statutory duty and the parents were awarded the £10,000 each and Hackney was ordered to pay 75% of their costs. Hackney appealed and this decision was overturned on appeal in December 2016. The Court of Appeal agreed with Hackney and pointed out that the word ‘consent’ does not appear in section 20 – the relevant word is ‘objects’. At the time the children were accommodated pursuant to section 20, the parents were subject to bail conditions that prevented them from providing suitable accommodation for their children. Their consent was not required in these circumstances. There was no breach of the HRA and damages should not have been awarded. The case then went to the Supreme Court, the main ground of appeal being was there or was there not a lawful basis for the children’s accommodation under section 20 of the 1989 Act once the 72 hours of police protection under section 46 had expired? Judgment was handed down on 18th July 2018 in Williams & Anor v London Borough of Hackney  UKSC 37 (18 July 2018), dismissing the appeal. The UKSC commented that it was potentially confusing to talk about ‘consent’ to section 20 and it was better to refer to the process as the parent agreeing to delegate their PR to the LA for a period of time. However, it remained important that the parents genuinely understood what was going on so previous ‘good practice’ should be adhered to. Whether the local authority had a lawful basis to continue to accommodate the children all depends, therefore, on whether the parents’ actions after the expiry of the police protection order amounted to an unequivocal request for the children to be returned. The judge did not see the bail conditions as an insuperable impediment to their making such a request (para 65.b). There could have been a number of solutions, including the parents or the Council persuading the police to vary bail to allow alternative accommodation with family and friends, if there were any to help, or with the parents themselves. Breaking police bail conditions is not a criminal offence and there was no evidence of what would have happened if the children had returned home. The bail conditions did not operate to give the Council any greater powers than they had under the 1989 Act. The ostensible reason for the conditions was not a good reason for keeping all eight of the children – particularly the baby – apart from their parents. It is not surprising that they were lifted soon after contact from a senior Council officer, even though there was still the prospect of criminal proceedings against the parents. But it is difficult to know how to construe the events of 9 July, when the parents went to the Council’s offices and, according to them, asked for the return of their children. The judge accepted the social worker’s denial that she had told them that the children would never be returned. But he found it probable that they were told that the document they had signed authorised the children to be kept, because that is what she believed at the time. However, he went on to say that “it is difficult to determine whether, and if so on what terms, the claimants asked for their children to be returned”. Given his earlier finding about the events of 6 July, he made no finding about it (para 68). It is therefore difficult for us to construe these events, either as a clear objection to the children’s accommodation under section 20(7) or as an unequivocal request for their immediate return under section 20(8). There would be little point in our sending the case back to the judge for him to make findings on this matter. It is fairly clear that, on that date, he would have regarded the continued interference in the family’s life as a proportionate means of protecting the children from harm. In those circumstances, even if the events of 9 July had removed the lawful basis for the local authority’s actions for a matter of days, which must be doubtful, no damages would be payable. The Supreme Court therefore decided that as the parents had not objected or unequivocally requested the children’s immediate return, there was a lawful basis for the children’s continued accommodation under section 20. Summary of legal principles from case law. In sum, there are circumstances in which a real and voluntary delegation of the exercise of parental responsibility is required for a local authority to accommodate a child under section 20, albeit not in every case (see para 40 above). Parents with parental responsibility always have a qualified right to object and an unqualified right to remove their children at will (subject to any court orders about where the child is to live). Section 20 gives local authorities no compulsory powers over parents or their children and must not be used in such a way as to give the impression that it does. It is obviously good practice in every case that parents should be given clear and accurate information, both orally and in writing, both as to their own rights and as to the responsibilities of the local authority, before a child is accommodated under section 20 or as soon as practicable thereafter. As the Supreme Court did not resile from any of the guidance set out in previous cases, I will summarise it here. but note Hackney case (above) where the parents were subject to bail conditions that meant they were prevented from offering a home to their children. Consent was not an issue in these circumstances. If parents are prevented from ‘objecting’ to section 20 accommodation this may be enough to make it lawful. Also note comment of Lady Hale in SC decision in Hackney (para 39) a delegation of parental responsibility (i.e. agreeing to section 20) can be “real and voluntary” without being fully “informed”. These principles are dealt with in more detail below. Every LA has the power to accommodate a child, if to do so is consistent with the child’s welfare. If the social worker has doubts that the person has capacity they should stop trying to obtain consent and seek advice from the Team Leader or Management. appreciate the full range of choices available? know about all the relevant facts? If the social worker is not satisfied the parent is ‘fully informed’ again, no further attempts should be made to obtain consent and further advice should be sought, including legal advice if necessary. 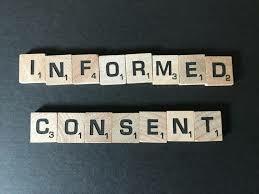 If the consent is considered to be fully informed, the social worker must then be satisfied that the giving of such consent and subsequent removal of the child is fair and proportionate. To answer that question, the social worker should consider the current physical and psychological state of the parent, whether or not they have a lawyer, or have been encouraged to seek legal advice, whether it is necessary for the child’s safety to be removed at this time or whether it would be fairer to seek a care order from the court. The parents must be told they have a right to legal advice and can withdraw their consent at any time. See para 65 of the Hackney judgment: a section 20 agreement HAS to convey that the parents have the right to withdraw their consent. The parents must also be told of their right to take legal advice. Otherwise their apparent ‘consent’ to section 20 may be no consent in reality. This is confirmed in the Supreme Court decision although the point is made that consent can be real without necessarily having ‘full information’. This is not a point I find easy to reconcile and presume that the focus then falls on what is ‘relevant’ information – which I assume is primarily being informed that the parent can remove the child from section 20 accommodation at any time. For a case that went badly wrong, when the LA did not make sure the parents were supported to understand what was going on, see the case of H (A Child – Breach of Convention Rights: Damages) . The parents were awarded damages of £6,000 for breach of their human rights in a case that drifted due to unacceptable use of section 20 accommodation. Finally, I would also add that on my assessment of the undisputed facts in this case there is real doubt as to whether [the LA] had proper consent from the parents to the accommodation of P after he was removed from the PGF. In the first statement filed by the [LA] there is an acknowledgement that the parents did not want P to be placed in foster care after he had been placed with the PGF. The author of the statement comments that in spite of this knowledge once he was moved to foster carers the parents did nothing to come and get him – as if the responsibility was somehow theirs. These parents go everywhere with an advocate. They are vulnerable young people. It is the responsibility of the local authority to ensure that they give proper consent. Unless they abandon their child, they do not give consent by omission. I should add that they have never abandoned him. Sometimes, when a child is in foster care under section 20, that has lead to unacceptable drift and delay in making decisions about the child’s long term future. In the case of H (A Child – Breach of Convention Rights: Damages) it took the LA nearly a year to issue proceedings, while the child was in section 20 accommodation, a delay that the court decided was both ‘unjustified’ and ‘inexcusable’. Also, the LA did not take enough care to ensure the parents understood what was going on. The parents were awarded £6,000 each for breach of their human rights. 1. There have been several recent instances in this area where it is quite apparent that accommodation of children under Section 20 of The Children Act 1989 has continued in an unstructured way for excessive periods of time and in circumstances where proceedings are either inevitable or otherwise highly likely to be issued. I regard such accommodation in those circumstances to be unprincipled and wrong. Further, where this occurs, it leads to unjustifiable delays in the completion of arrangements for the child concerned. 2. I refer, in particular, to the decision of Hedley J in Re CA (A baby)  EWHC 2190 in which guidance is given about the use of accommodation under that section. It includes guidance that the Local Authority should consider: ‘Would it be fairer in this case for this matter to be the subject of a court order rather than an agreement’. That question should be read as if the word ‘fairer’ were to be expanded so that the question reads: ‘Would it be fairer and in the better interests of the child in this case for this matter to be the subject of a court order rather than an agreement?’ It is not in the interests of a child for accommodation to be used in the unstructured way that I have described in paragraph one above. 3. Therefore, in any cases before District Judges or Magistrates in this area where there is any significant suggestion that accommodation under section 20 has been misused in the manner that I have described, the case should be listed before a Circuit Judge following the Case Management Hearing. Circuit Judges are encouraged to give judgments on any such issues that arise before them on referral or on a CMH listed before them. Where possible and appropriate, the judgments should be placed on Bailii in accordance with the transparency provisions. I consider it to be in the public interest that any such misuse of accommodation under that section should be made public. HHJ Wildblood QC – 26th November 2014. It goes without saying that it is totally inappropriate for a local authority to hold a child in s. 20 accommodation for 2 years without a plan. That is what happened here. The local authority has “disabled” these parents from being able to parent their child with every day of inactivity that has passed. The driver for the issue of proceedings was the parents’ lawyers making clear that they did not give their consent. To its credit LBR, during the hearings before me, has accepted its errors in this regard and has tried to make good but there needs to be a careful examination internally of how it was this family was treated in this way. In these situations it is the local authority that holds all of the power. I think it likely the mother was told that if she did not agree to P’s accommodation then the LBR would issue proceedings. Parents are unlikely to want to drive the local authority to issue proceedings and so the vulnerable are left almost powerless to object. Meanwhile the child is “parked” and the local authority is under no pressure or scrutiny to ensure that it is dealing with the case in an appropriate and timely fashion. In my capacity as DFJ for East London I warn that there will be nowhere to hide for those authorities in this designated family area who fail the children in their borough in this way. Quite apart from all the other serious failures, the delay in this case was shocking. A was born on 11 January 2014. There had – appropriately and commendably – been much pre-birth planning. Yet it was not until 16 September 2014 that the care proceedings were issued. This delay is, to all intents and purposes, unexplained. The gap was covered by the local authority’s use of section 20 in a way which was a misuse, indeed, in my judgment, an abuse, of the provision. There is, I fear, far too much misuse and abuse of section 20 and this can no longer be tolerated. I draw attention to the extremely critical comments of the Court of Appeal in Re W (Children)  EWCA Civ 1065, as also to the recent decision of Keehan J in Northamptonshire County Council v AS and Ors  EWHC 199 (Fam). The circumstances of the children were allowed to drift in the pre-proceedings stage and the use of section 20 of the Children Act 1989 was too prolonged. The absence of a meeting of professionals from the Local Authority’s Children’s and Adults’ Services in the early stages of the Local Authority’s intervention. A lack of understanding of The Care Act 2014. There were inadequate assessments of the mother in the pre-proceedings stage. If there was insufficient information available to the local authority for it to formulate a satisfactory care plan at that stage a proper and full psychiatric assessment of the mother should have taken place within the pre-proceedings stage. It should not have been left to the time of the proceedings. The apparent lack of information held by Dr. S as to exactly what has been provided to the mother by way of therapy within the community. EDIT The case of Herefordshire Council v AB  EWFC 10 (1 February 2018) reveals further serious unlawful use of section 20; Mr Justice Keehan describing this case as representing “two of the most egregious abuses of section 20 accommodation it has yet been my misfortune to encounter as a judge”. Once child spent 8 years in section 20 accommodation from the ages of 8 – 16 and the other spent the first 9 years of his life without any plan for permanent accommodation. If you don’t want your child in foster care any more then you can stop agreeing at any time. BUT this may mean that if the LA aren’t happy with you taking your child home, they may want to try to stop you. OR the LA will have to apply to court for an order. If they think the situation is urgent they might apply for an Emergency Protection Order. See our post on interim removals. In some situations, parents might be better off if there was an application for a care order – this will ensure the matter is now subject to a strict court timetable and a judge will be in charge of making decisions. Being involved in care proceedings will also mean parents can get free legal advice and representation. The LA want me to sign a ‘written agreement’. Often section 20 agreements go hand in hand with other written agreements; for example, setting out what the LA would like the parents to do or stop doing, while their child is in foster care. These documents don’t have any specific legal force but they are often relied on in evidence in later care proceedings to show how co-operative (or un co-operative) the parents have been and therefore, how much they can be relied on in the future. Written agreements should not be used to get care orders ‘by the back door’. See the case of Re W  for discussion about this. Also, read this blog post by suesspicious minds for further consideration about written agreements and their consequences. Never ever sign a written agreement if you don’t intend to stick to it – your position is made worse by signing it and not doing it than by not signing it. and they are satisfied the child ought to be placed for adoption. See further LB v London Borough of Merton  EWCA Civ 476. See further discussions at The Transparency Project about the ‘foster to adopt’ controversy, where parents may agree to place babies in such a placement, under section 20, therefore without the oversight of the court. Review and monitoring of section 20 accommodation. referring the case to Cafcass, if the IRO thinks it is appropriate. Every case must be reviewed within 4 weeks of the child being provided with accommodation and a second review must follow after that within 3 months. After this second review, the reviews must be at least every six months. The LA should be considering whether or not the child can go home at these review meetings. to find out whether an appropriate adult is able and willing to provide such assistance or bring the proceedings on the child’s behalf. Making parents pay for section 20 accommodation? For consideration of the very odd situation outlined by Schedule 2 of the Children Act, see this excellent blog post by suesspicious minds. Such charges can’t be imposed on any parent who is receiving state benefits and they don’t apply to any child subject to a care order. The court initially stated in Williams and Another v the London Borough of Hackney  that the LA should still get informed consent to section 20 accommodation, even when the parents were subject to bail conditions that meant they could not have unsupervised contact with their children. This was overturned by the Court of Appeal who pointed out that the statute uses the word ‘object’ not ‘consent’ and the parents clearly couldn’t ‘object’ to the LA providing their children with accommodation, when they were prevented by their bail conditions from giving them a home. See discussions above and in particular the comments from Lady Hale in the Supreme Court judgment about bail conditions and their impact. For a useful examination of the duties of LAs to provide housing and how family courts would benefit from specialist advice from housing lawyers about this, see this blog post from Nearly Legal. Article by Jacqui Gilliat and Amy Slingo December 2015 – Section 20 Children Act 1989: Consent not Coercion – Issue or be Damned. Misuse of section 20 from the perspective of the adoptive parent – see this article from The Adoption Legal Centre. Questioning the Use of Section 20 – 2015 article by Judith Masson, Professor of Socio-legal Studies at the University of Bristol, considers section 20 of the Children Act 1989 within its broader historic, legal and practice context. Guidance on use of section 20 from HHJ Bellamy January 2016. Guidance for parents and professionals from the Transparency Project February 2016. Judgment of Mr Justice Keehan regarding a very serious failure of a LA which left children drifting in section 20 for many years. This entry was posted in section 20 agreements and tagged accommodation, consent, Section 20, Williams v Hackney, written agreement on February 2, 2014 by Sarah Phillimore. I would also add that people need to be clear that Sec. 20 is ‘accommodation’ rather than ‘Care’ – although the child or young person is always regarded as being ‘looked after’ by the Local Authority. The statutory Review processes will also be used. It should rarely be used in an emergency and where parents are feeling emotionally vulnerable. I really believe that all forms of substitute care should receive the same degrees of investigation and analysis – ideally a minimum of a completed Core Assessment with input from other involved agencies. Thanks for those comments. They are very helpful and we agree. We will make some amendments to the post to clarify that position. My daughter was taken illegally,by the “back door method” or KIDNAPPED. no court order,no section 20.no agreement,nothing.In fact I was not even KNOWN to SS or the L/A police removed my daughter when she was 11 yrs old.She is 14 yrs now.Im not allowed to see her,Ive done nothing wrong. Are you saying there is still no court order? Has you daughter been placed in foster care or with a family member? A very helpful article. But under the section “watch out for s22 ACA” I think it would be helpful to add in s22(1)(d) ” and the LA is satisfied that the child ought to be placed for adoption” otherwise it sounds as though the LA is obliged to apply for a placement order for every s20 accommodated child if the threshold is made out. Sorry Lisa, I can’t take on cases unless formally instructed and I would need to see ALL the relevant paperwork etc. I don’t have much free time at the moment. Are you sure it was section 20? Reference to the 26 week timetable makes me think it might be an interim care order?? If it was section 20, the fact that you were ‘forced’ to sign it is very bad practice. Section 20 is meant to be an entirely voluntary agreement between parents and LA and you can withdraw your agreement any time you want and ask for your child to be returned. The LA then have to return your child home OR apply to the court for a care order. Anything else is unlawful and must be challenged asap. If you were in court I assuming it must have been care proceedings. Where was your lawyer? Why wasn’t he/she explaining things to you? They can’t just ‘refuse to discuss’ this in court. You need to understand what is going on urgently. Well what my solicitor thought I think he missed a lot to be honest the court looked the other way when the s.w admitted to slating me to my son and also not using framework filling out his reports a week after meetings etc. I know I can be a pain but they treat me like um stupid so when I point out the lies etc and explain what they are doing wrong they then limit contact refuse to allow me to attend meetings and I’m slightly irritated by their ways so now deal with the top one and I’m optimistic. An interim care order is given by the courts and they hadn’t said it was going to court at that point. When I told the head of children’s services what I had been made to sign she said it didn’t sound like a section 20?? So still no closer to knowing what it was. If you are still in court you need to raise this with your solicitor if you haven’t already. The Manager knows full well what you signed as she will of course have a copy of it, but will just try and string you along as they have probably done something they shouldn’t have done and will be liable to pay you compensation under the Human Rights Act. If you did not get a copy of the two documents you signed ask for copies now. It’s been to court he is in long term care and I’m getting no answers… Still. They refuse to up my contact and when I ask why they have no answer they haven’t given me anything as to what I can do no timescales nothing I now deal with the head of children’s services who seems pretty appalled by this. I have asked what can I do to get him back they say he’s not coming back. For the record he had full school attendance perfectly healthy good social life polite clean etc and I don’t drink or do drugs never hurt him in any way when it happened I was in hospital (ectopic pregnancy) but homeless temporarily as was moving into a new place which they knew about. If you are not getting any answers, then apply to court to discharge the care order – if that is what is in place. I think it must be if it went to court. Hi would love some help or advice. My daughter is under it’s section 20 of The Children Act 1989 – voluntarily accommodated as part of a shared care arrangement. do you have any information about this as when I decided to enter this I had just had a baby who was diagnosed with a life long disability and allready had a four year old with downs. So knew j just cpuldnt cope with two children with such big needs so asked for earlly help that’s when they offered this rather than foster care so we could still be full parental responsibility. My daughter was in hospital for four months when she was born so becuase i as grieving my daughter and struggling didn’t really look at the terms of the section. There is no concern what’s so ever of neglect sage guarding ect however we still have to be visited at home by a social worker at our home and have wer she sleeps checked on do u have any information on this? Section 20 is about the LA providing a home for a child, while the parents retain PR. So if your daughter is at home with you then it can’t be section 20. It sounds more as if it is a care or supervision order? Were there any legal proceedings? This is a great leap forward . The damages appear to be more substantial than that awarded in the family court, the last case I saw was 12,000 for 12 months whereas this is 10,000 each parent for two months I asked before would anyone like to take a class action over misuse of section 20? I ask again following this judgement. When I was in hospital I signed a handwritten section 20 and when I came out they made me sign an official one which they didn’t explain anything and basically I signed my son away without knowing what I had done and they refuse to answer any questions how can I get to the truth and get my son back?? Penni No they should not have put pressure on you in hospital. If you were having pain relief that may have made you dopey or had just come out of an anaesthetic they definitely should have not got you to sign anything. Section 20 is supposed to be informed consent , including the fact that it is voluntary, so you don’t have to sign it . The local authority do not parental rights and you can ask for your child back at any time. Sam is right. It is not good practice to ask for agreement to section 20 in these circumstances. Ian I think the point is if it wasn’t a section 20 what was it and more importantly if it wasn’t a section 20 they stole my son I need to know so I can use that in court as well. The only way a child can be removed from the care of a parent is a) if that parent consents (section 20), by order of the court – care order – or by the police exercising their powers under section 46 of the Children Act. But police removal can only be for 72 hours, so that isn’t what happened here. If there is only section 20 in place, you can withdraw your consent at any time. If its a care order, you will have to apply to discharge it. But if your child has been out of your care for a long time, you may not have much chance. When the social worker visited you in hospital,Penni, he or she was obliged under legal frameworks ( Children’s Act 2013) to inform you as to the availabilitt of advocacy services and advised you of your right to have one. Surely they dis so. They have to so it’s no good saying you do not understand what you signed.The advocate will have advised you of your rights. You did have an advocate, I presume. As Sarah says they are not allowed to force you to sign an S20. How could they? Please describe what happened. I don’t believe the average social worker would threaten or blackmail you, perhaps by saying they would teke your baby for adoption. Please don’t tell me they did. My guess is they just suggested you ought to cooperate and they were taking the baby away temporarily for his own protection. Wha happened at the family conference? Why didn’t your Mum or another relative offer to look after the baby for you if they had concerns about you. I presume they arranged for a family conferece.They have to consider all alternatives to removal and give reasons for rejecting them. What reasons did they give? I am surprised they never offered to place you and the baby in a supervised mother and baby unit because they know how badly removal of babies from natural mothers affects their bonding and secure attachment.You must be really bad if they did not arrange for it at the pre-birth child-protection conference. How long before the birth was the conference held?. Women in prison are allowed to keep their new babie for 18 months. If they refused that to you. I can only think that you aren’t telling us everything.Are you sure you aren’t on drugs? What reason did they give you for taking the baby. My boy was 10 when I was in hospital on a drip (ectopic pregnancy) the s.w turned explained the section 20 just temporary care while in hospital hand wrote it out after I looked it up and had to sign it. When I came out of hospital he then gave me typed “section 20” to sign but didn’t tell me that it had changed to putting my boy in care for 26 weeks with supervised contact and when I went to pick him up from school was threatened with the police if I did. (and I may have the text he sent saying that) I have asked till I’m blue in the face why was this allowed to happen and getting nowhere the I.R.o was worse wouldn’t let me ask questions etc.and he stopped a contact when I was going to sign for my flat as he refused to change the day also had less time than the agreed time on the s.w say so. So I sound like I don’t trust them there’s your answer to me they are low down scum that abuse any power they think they have. Which is a pity because there is good social workers out there that get the fallback because of scummy ones. I am sorry,Penni,I misunderstood. I thought it was your baby that was taken. Now I know your child is 10, that is completely different! I suspect there is something very fishy about your case . Did they examine all alternatives to removal or not? Please note that if you start using terms like ‘scum’ , inferences will be taken on this resource and in court that you are the one at fault so be very careful.Stay absolutely calm and moderate or they will ask the court to send you to a psychologist. My advice is to ‘engage’ with a solicitor against the LA whilst doing everything possible to engage and cooperate with the CS. Make a clear statement that you acknowledge their concerns and that you are keen to work positively with the social worker towards your son’s return home.The statement should be in writing and submitted via your solicitor. Then just sit back and watch the CS reciprocate your goodwill! Assuming there is an ICO, ask your solicitor to appeal when it comes round for renewal IF YOU HAVE A RELATION he can live with temporarily. They should have looked at a family placement before applying for the order. Did they? The last thing I want to do is terrify the life out of you but life for children is not always dreamlike in care. Have they placed him well away from his roots? I repeat, engage with a lawyer and keep as calm as you are able. My boy is 100 miles away as we were in the process of moving when it happened and at present they keep saying he’s never coming back. I have had to call 5 meetings this year as they keep organising phone calls with him then they never happen I have to chase them up to find out what is going on they stopped me attending L.A.c reviews based on a 2 year old incident. I had been to many more meetings since then so was quite shocked when they decided I couldn’t attend etc it is continuous inadequate practice which rightly or wrongly feels personal. And yep I have a habit of finding things out and when they lie I tell them when they do things wrong I make sure they are aware as it is in my boys interest that it is done right. I have the paperwork for court but it is difficult to know what to put on it that a judge will actually take notice. What was the ‘incident’ that led to you being barred from attending LAC reviews? From what you say, they have behaved appallingly but you have to realise that professionals will always give the Social Worker the benefit of any doubt. Little notice will be taken of you on your own. Judges prefer professional evidence. You need a lay advocate and an expert lawyer on your side.Have you got a solicitor? If not,you should engage with one asap. That’s all I can say really. I get that but because I work solicitors cost money and I can’t afford it so have to do it myself. I’m dealing with the head of children’s services now and she “seems appalled” at what has happened so maybe that will help. Ian joseph.. you gave me advice on how to appeal against an adoption order which i am still doing but it is very difficult. Im awaiting a conclusion from london appeals office as to if my case will be accepted or declined. I was forced to sign section 20. As a disbetic i had a hypoglycaemic attack and post fot in a confused and not my normal state of mind i wad told i had to sign it hy the social worker otherwise i would never see my son again as he woulld be taken by the police at 10 weeks old. I was not told what a section 20 was and bare in mind i was made to sign this feb 2016 n have only now found out what one is to this extent. I had no idea that i could wothdraw it nor that i was to seek legal advice. I was well and truly fucked over by social and want to know who i get in touch woth about what i can do following this. You need to get a good solicitor to help you make a claim. I am a parent like you, I cannot give you legal advice but Sarah ia a barrister, who runs this site may be able to help when she sees your post. You are in the right place to get help. You should not have been made to sign a section 20 while you were unwell and your solicitor should have told the judge this during the court case. If they didn’t you would be right to argue if they had not worked the best they could on your case. It may be a point that you need to put on your appeal. Hi my children are under a section 20 the LA have been turned down by court for an ico and and epo the case is now at an issue ressalution hearing. How long does a section 20 last for and when would i get my boys back. Section 20 means that a child is being look after by the local authority with the agreement of those with parental responsibility. Agreement can be withdrawn at any time so Section 20 has no time duration as such. it is unsettling for children if things change suddenly, so you might want to think about that in the context of your case, giving a bit of warning is generally better for them – but you don’t have to. I am wondering if you are not the only person with PR and someone else has agreed to Section 20. I am also wondering if the court didn’t grant an order on the basis that you had agreed Section 20, whic means the LA might return to court to make an application for an ICO if consent is withdrawn. Just to note,even if one parent does give consent, it is still unlawful to keep a child under section 20, which is supposed to be a voluntary agreement, if the other parent withdraws their consent( presuming they were asked in the first place) and that other parent can provide suitable accommodation. Children cannot just be taken by Childrens Services , without a court order or freely given consent. The police can take them under a police protection order, but once again cannot take them without one. If you are in proceedings ,your solicitor should really be explaining to you what is happening. Sam is quite right that SW cannot remove children without an order or the police. The police can use their powers of protection for 72 hours. 1. Is the CS obliged to give parents a copy of the signed S20 ? I would think an agreement cannot be an agreement unless both signatories have a copy but I am not sure. 2. A Police child-protection officer told a parent he was initiating a Police Protection ORDER under Section 46 of the Children Act. He said the order would need to be signed and authorised ( i.e. issued) by a Police Inspector. The parent was not shown the order prior to her children’s removal. The Social Worker’s took the children without seeing a copy either. This supports Helen’s belief that there is no such thing as a Police Protection Order. But can you see the SW’s and the Police contradict one another here? Police claim one has to be initiated, then signed and issued , parents who claim they never see one, SW’s who say there is no such thing. In the particular case I am talking about , the CS day sheets state that on the Friday night in question, after the children had been taken into care, the duty SW contacted the Police three times and asked for a copy of the ORDER. The sheets also record that at 11.15 p.m. the ORDER was faxed to the CS office. The Mum telephoned the Inspector who told her he had signed and issued an order and explained why. Maybe Sarah or a Policeman could help us here and explain. Q1. Is the CS obliged to give parents a copy of the signed S20 ? I would think an agreement cannot be an agreement unless both signatories have a copy but I am not sure. A1. It is good practice both to have an agreement and both parties to have a copy. Q2. A Police child-protection officer told a parent he was initiating a Police Protection ORDER under Section 46 of the Children Act. He said the order would need to be signed and authorised ( i.e. issued) by a Police Inspector. The parent was not shown the order prior to her children’s removal. The Social Worker’s took the children without seeing a copy either. This supports Helen’s belief that there is no such thing as a Police Protection Order. But can you see the SW’s and the Police contradict one another here? Police claim one has to be initiated, then signed and issued , parents who claim they never see one, SW’s who say there is no such thing. In the particular case I am talking about , the CS day sheets state that on the Friday night in question, after the children had been taken into care, the duty SW contacted the Police three times and asked for a copy of the ORDER. The sheets also record that at 11.15 p.m. the ORDER was faxed to the CS office. The Mum telephoned the Inspector who told her he had signed and issued an order and explained why. A2. From a solicitor https://suesspiciousminds.com/tag/section-46-children-act/ “Section 46 of the Children Act allows for a police officer to remove a child from a parent (i.e without an order) for a period of up to 72 hours. [Most professionals call this removal under police protection a PPO , in echoes of an EPO, but it is not actually an Order]. The decision is made by a senior police officer, not the Court.” I would imagine the term is used & the police may call their paperwork an order. It is highly likely that the LA will be displeased that their case for EPO or IPO .I am only a parent like you not a professional adviser but the answer to your question is that all you have to do is contact the Local Authority and inform them you wish to rescind the S20 you signed then take them home after contact or ask the Social Worker to bring them home right now. I don’t know their ages but it is quite possible they have already been traumatised and emotionally disposed by removal and it sounds like there are no real grounds for it. I suggest that an immediate return may be in their paramount interests right now. Heaven knows what they are suffering in care and whilst there it is possible they will not feel at freedom to tell you all about it at contacts either. They are often too frightened or forbidden to do so. If very young ,they will not understand what is going on anyway just distraught like you. Whilst children are under an S20, sometimes rather than arranging support for you if you need it and without doing a full, impartial investigation ( including questioning you and checking over home conditions etc.) all they do is carry out a witch-hunt and amass scandal-mongering hearsay evidence, police intelligence and so on with the sole aim of ensuring they get the order next time. Plus, particularly with very young children, they interview them and gather false evidence from them with the offer of rewards or punishment. The LA can’t always be trusted to be impartial and if they have already been stymied by the Court ,well you can’t be sure. Do you know whether the Judge tuned down the orders because the children were already accommodated away from you under the S20 or if that was immaterial. Ask your solicitor for advice. Keep records of all contacts and of all meetings with the CS etc. If you want you can record meetings and contacts also relevant ‘phone-calls and I have to advise that it is very useful to do so. Sometimes Social Workers are so busy, they forget and misreport they are so busy and your own records will help. If you haven’t done so already,I advise you to go on to the Family Rights Group (FRG) website for advocacy and they also have a helpline. Did the Social Worker inform you of local advocacy services and tell you have a right to have one attend meetings with you? If not ,they should have done. Hope this helps and that my warnings turn out to be unnecessary. Not all LA’s are dysfunctional just a few of them. GOOD LUCK! “It is highly likely that the LA will be displeased that their case for EPO or IPO .” why? This is the LA asking the court to make a decision, they can’t. “it sounds like there are no real grounds for it” how do know this? I don’t know it; I am merely giving a parent’s advice upon my reading of the kikelihoods based on the comments of the anonymous reader. There is nothing in the content that means you can know anything, either way, which is as it should be on a blog! I admit I am guessing but I don’t think it unreasonable ,given that the Court has already turned down applications for both an ICO and an EPO that there are no real grounds for removal. I think it is a fair assumption and I think it is acceptable for one parent to advise another on that basis . I am not a professional and I have made that clear as usual. Based on other experiences described by other victims and on general research and because I know some Social Workers personally ,I have warned anonymous that some of them can be very vindictive and may not have taken well to their intentions having been thwarted by the Courts which many of them see as just one aspect they have to overcome to achieve their aims, legitimate or illegitimate. Indeed there is not a lot to which they will not stoop. You can take my word for that, Helen. Or go through all the appeal judgments and countless customer complaints. It may be they conned or blackmailed Anonymous and /or anyone else holding parental responsibility into signing the voluntary agreement. Yes! It has been known. They have done it many times before. It is not news to anyone who reads the resource. They often misuse S20’s. That is a fact. I hope Anonymous will follow my advice and be wary ,also that she will seek help from the FRG. Helen , can you answer my questions about PPO’s or are you not sure yourself? “I admit I am guessing but I don’t think it unreasonable ,given that the Court has already turned down applications for both an ICO and an EPO that there are no real grounds for removal.” you are guessing. It is just as likely that orders were not granted because S20 had been legitimately agreed. I don’t know what your questions about the police powers of protection are? By PPO I am guessing you mean police protection order? There is no such thing, an order is granted by the courts, the police have powers of protection. A Police child-protection officer told a parent he was INITIATING a Police Protection ORDER under Section 46 of the Children Act. He said the ORDER would need to be signed and authorised ( i.e. issued) by a Police Inspector. The parent was not shown the order prior to her children’s removal. The Social Worker’s took the children without seeing a copy either. Does this support Helen’s belief that there is no such thing as a Police Protection Order? I understand what she is saying and in the past many others ,lawyers and advocates included ,have told me the same thing. But can you see the contradiction here? Police claim one has to be initiated, then signed and issued and indeed the procedures are written down in section 46 guidelines. Yet parents claim they never see one and SW’s say there is no such thing. In the particular case I am talking about , the CS day sheets state that on the Friday night in question, after the children had been taken into care, the duty SW contacted the Police three times and asked for a copy of the ORDER. The sheets also record that at 11.15 p.m. the ORDER was faxed to the CS office. The Mum telephoned the Inspector who told her he had signed and issued an order and explained why. Mum has requested a copy of the order repeatedly to no avail. Was there one or not? Or were the children taken into care by the CS illicitly? I hope that is clear now,Helen. Any thoughts? I don’t suppose a Policeman will come on and answer. Hi I had my baby taken at 4 days old from hospital. He is under a section 20. They said they took the baby cause they think me and my husband would not cope. Is there a way to get my baby back home. As I am at court on 10th of October to find out what happens with mine and my husbands son. I agree you need to get urgent legal advice. Your child should be in care proceedings, you need a lawyer and a clear court timetable to sort this out. You can’t wait until October, this needs to be in court now. Social workers can’t go to court until a baby is born (which is why S20 is requested when a family in care proceedings are expecting a new baby) but 4 days would have given them time to do that, even if they hadn’t know about the baby (which I expect they did if they are involved with your son). If there are care proceedings in regard to your son, that might lead to the cases being joined, but you still shouldn’t have to wait until the next hearing for your son in regard to your baby. I hope you have legal advice in regard to your son and can contact your solicitor regarding your baby. Amy you need to take legal advice straight away, from a family law solicitor http://solicitors.lawsociety.org.uk/ . Did you sign any paperwork and if so did you understand it? Have the local authority explained why they think you can’t cope. It also does not seem right that you are not in court for another five months. Please could I some advice? AD has moved out and self referred to YMCA, this was short term until LA found her supported lodgings (this was approved at their panel mid Jan). We have not signed any sec20 when they took her to crashpad as her abusive behaviour had escalated and we seeking immediate respite until suitable placement is found d, which they have and AD met with the carers a few days ago. So the LA and us parents are in agreement she should go to this family as it is safer environment and considering her health needs. It is also closer to school which she finishes in May. However AD is refusing as she happy at YMCA living among peers. We have not signed sec20 and it appears AD is going against her word, as she had agreed to us she would go to supported lodgings when they found one. The YMCA do not get involved but only provide accommodation should a 16 yard want one when in need, but this has heavily influenced AD decision. School starts next week and AD may change her mind considering the travelling is longer; the area around YMCA is also not pleasant but AD has blinkers on, she is enjoying her greater freedoms and autonomy (benefits etc.). Legally what can LA do, can they apply for Emergency Child Arrangement Order, so we can close the YMCA option? I know 16 year old have much greater rights about deciding where they want to live…. Sorry, but your PR becomes pretty irrelevant when set against what a 16 year old wants – assuming that 16 year old is Gillick competent. I think a lot of 16 year olds are no where near ready to make sensible long term decisions but it is very difficult to impose an adult will upon them at that age. It is fairly pointless to make orders in relation to 16 year olds and whilst your daughter may not make sensible decisions, the YMCA is better than homelessness, and she could be on the street. I wouldn’t go into foster care at 16, not sure why anyone would. Rather thank think all is lost, continue supporting her, and stop being vocal about your feelings about where she is now. Easier said than done but the best way of making sure outcomes are positive. If there is any indication of drugs/alcohol becoming an issue, MH problems etc. YMCA staff should be able to make the relevant referrals. Also have some confidence that some of what you put in as parents will have stuck, hopefully the good stuff. You can’t control this, so be there to pick up the pieces, without judgement. This is something that comes to all of us with children. Adoption p. I suggest you support her if she chooses to live at the YWCA but keep in touch with her , invite her for Sunday lunch every week, let her bring her laundry home and emphasise that her bedroom is always there for her at least until she gets married. Also encourage her to pray and go to temple etc. Lots of teenagers can’t wait to leave home at 16 , they used to leave school and start work at 14, which is why I suggested AD enlists in the services. Yet sometimes when reality sets in and they get fed-up ,they often come home a few months later a little subdued but much wiser. They learn a lot, its all part of growing up. It may seem like she is an ungrateful brat right now but when she gets to 18 or 19 things tend to settle down . Is it time to loosen the apron strings a little? If she wants to be an adult, why don’t you tell her to forget about the C.S. altogether and keep away from them? It can hamper her rather than help and could lead to her being marked down as a second -class citizen and having her own babies removed at birth in the future. If she doesn’t believe you, tell her to ask her G.P. whether she has been instructed to report future pregnancies to the L.A.
As usual, adoption p, I don’t want to alarm you or frighten other readers with problems from seeking help but , as one parent to another,i hope this advice helps. Why on earth would she have to report future pregnancies to the LA? & why till she gets married, is marriage some sort of solution to issues that I don’t know about? GP’s are commanded by child-protection to inform the Social Services if girls previously involved in care proceedings are found to be expecting a child. I don’t think anyone denies that. Answer:- Then an SW can investigate circumstances and provide support where it is deemed necessary. Sorry, I got confused & misread perhaps. A referral will be made, it is usually for early help support rather than SW intervention. Please do tell me why marriage is a such a fine solution though, particularly with the divorce rate so high? Helen.Try and read comments fully before commenting . I said no such thing,i merely advised keeping AD’S bedroom free for her ‘at least until she gets married’. Then it would be reasonable to let it go perhaps to the younger sibling. Hi can you tell me if I’m right in saying so I’ve been back in to a sticky situation with my children and a specail guardship order witch I’ve not seen or signed but a family member saying thay have such a order.. Surely I’ll off received and had to singed a white paper for there to be a confirmation off this witch ain’t I’ve asked to see this but still haven’t get been shown anythink but told and made to feel like I’ve got no say I’ve have currently got PR before this was made to be an order if so how can I go about getting a copy if the person in question isn’t Willen but telling me there is one. Speak to your solicitor who would be able to get you a copy of any orders in place. You don’t have to sign anything for a court order to be valid. Do you know which court made the order? See if they will give you a copy. Or do you know any of the solicitors involved? They should also have copies. you need to see a copy of the order to understand what has been ordered by the court and what, if anything, you can do about it. Thank you for your responses confirming my information great help.. I had a solicitor and they acting for me for 11 years. And this time turn and was not helping me nor giving me proper papper work in order plus postcode was different witch was going elsewhere before me. The person with special guardianship isn’t a solicitor or sw. To tell me these ppl jobs and it’s a family member saying this that and etc but I haven’t seen or copy or any papper to evidence this fact and I no witch court it was I had full P.R by these same courts just in different time frames and orders were granted to myself. So they wouldn’t need my signature to have my acceptance of these short term basic why I moved into a house was adequate for me and my children to living safely peacefully and without the disturbance of outside interference.